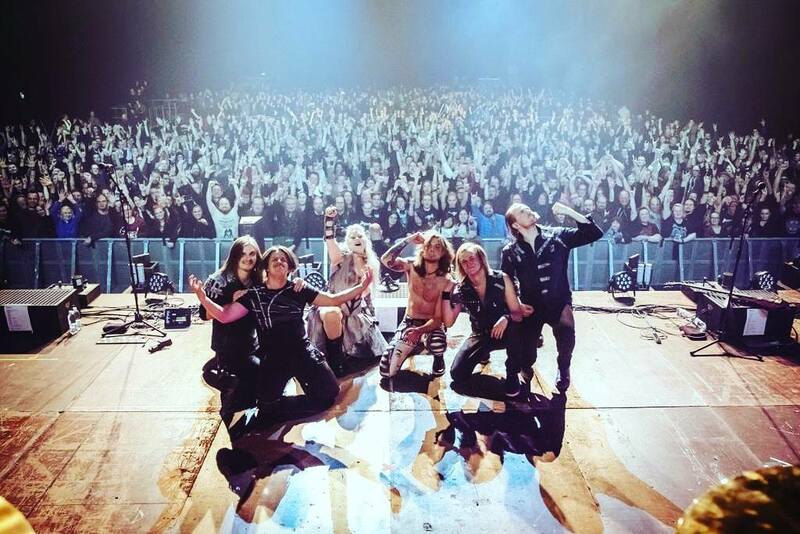 Finnish heavy metal sextet BATTLE BEAST released their brand new studio album »No More Hollywood Endings« last Friday through Nuclear Blast Records. After kicking off their world tour with two triumphant shows in Finland (Helsinki & Turku; further dates can be found below), the band is now proud to present a lyric video for another of the banging anthems off the new album. No More Hollywood Endings« was recorded by keyboardist Janne Björkroth, Viktor Gullichsen and guitarist Joona Björkroth at JKB Studios; with the record also being produced and mixed by Janne. The cover artwork was created by Jan Yrlund (KORPIKLAANI, MANOWAR etc. ), who created the cover for the band’s last album, »Bringer Of Pain«.